Currently, our server-side code launches our real-time logic engine, which turns around and launches our real-time server. That’s just weird. Instead, we should launch both components separately—the logic and the server—and then inject the server into the logic engine. 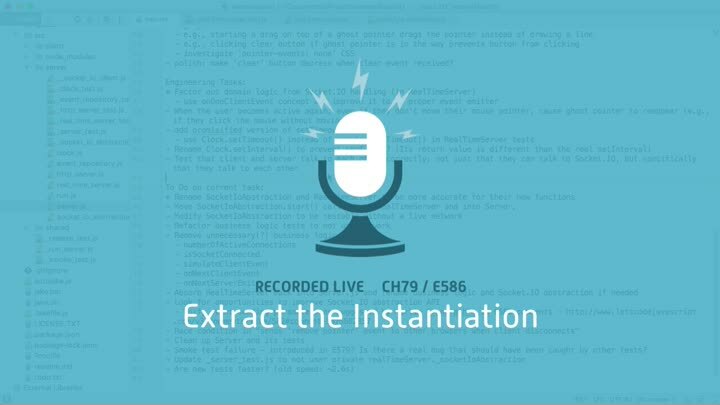 We start by extracting the server instantiation code out of our real-time logic class.